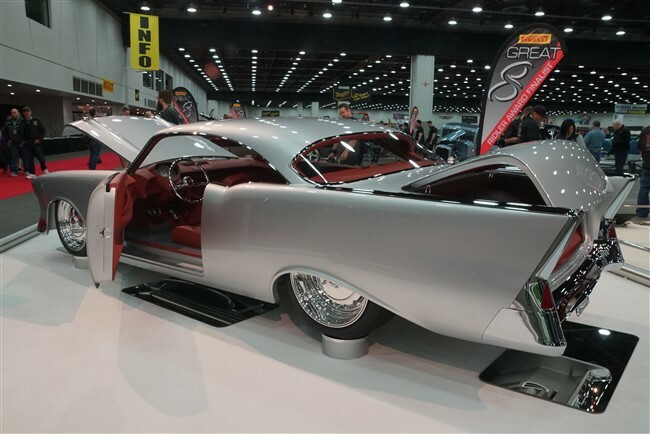 2018 was another exciting year for fans of classic rides. 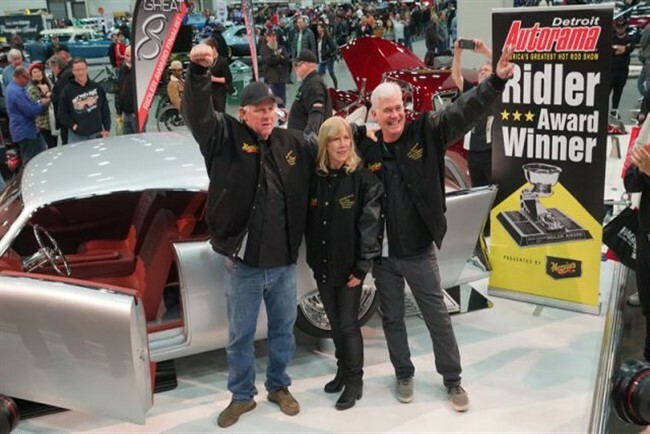 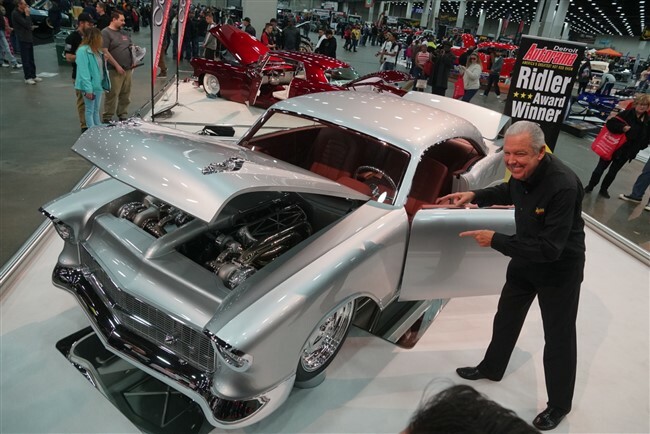 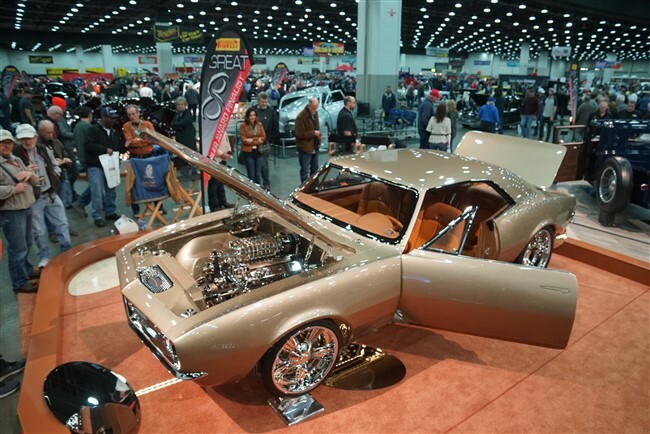 Auction sales records were rewritten and a whole new group of custom builds hit the show circuit. 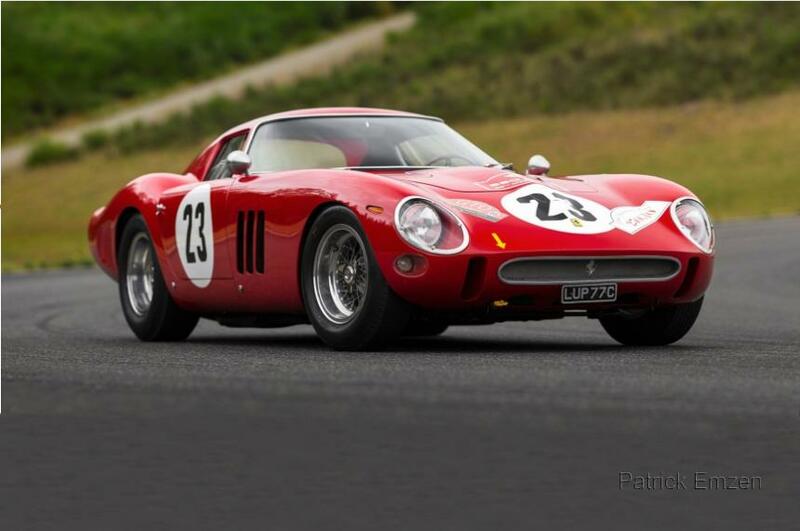 One of the biggest news items of the year was the sale of a 1962 Ferrari 250 GTO, which with a $48,405,000 price tag, set an all-time public auction record. 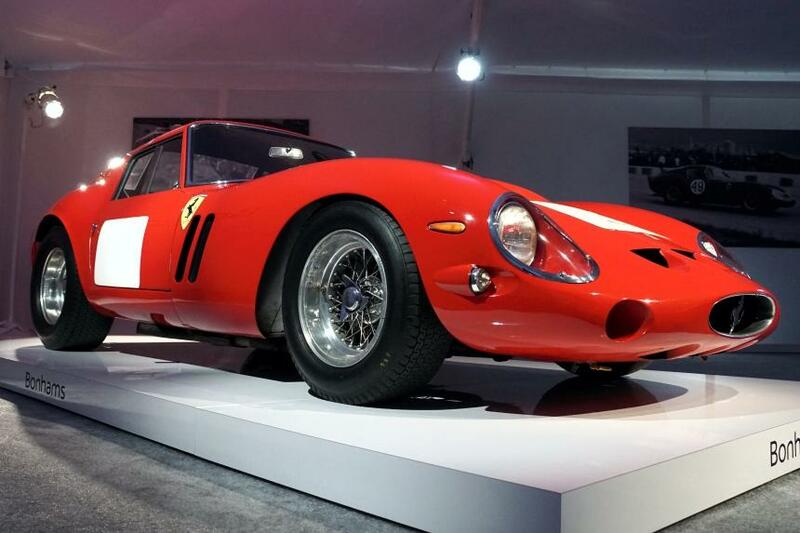 Interestingly, the previous record holder was another 1962 Ferrari GTO which sold in 2014 for $38,100,000. 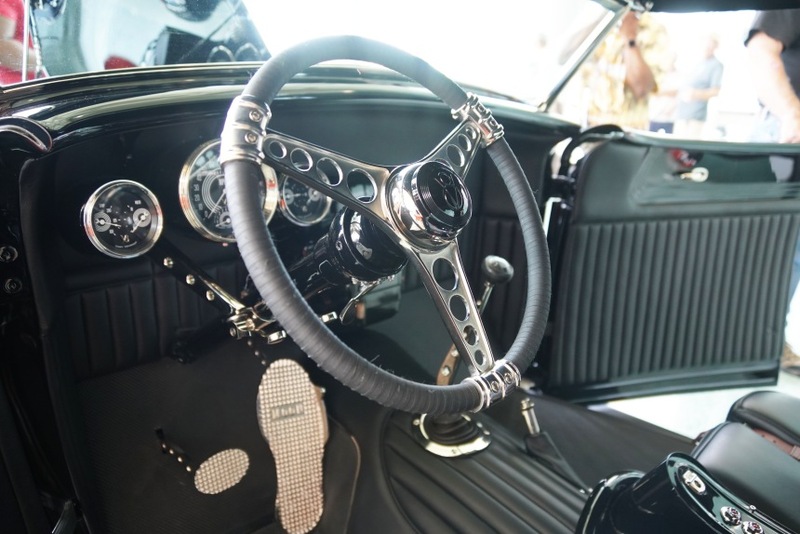 Obviously, these early ‘60s Italian race cars must be considered one of the most coveted collector cars on the planet. 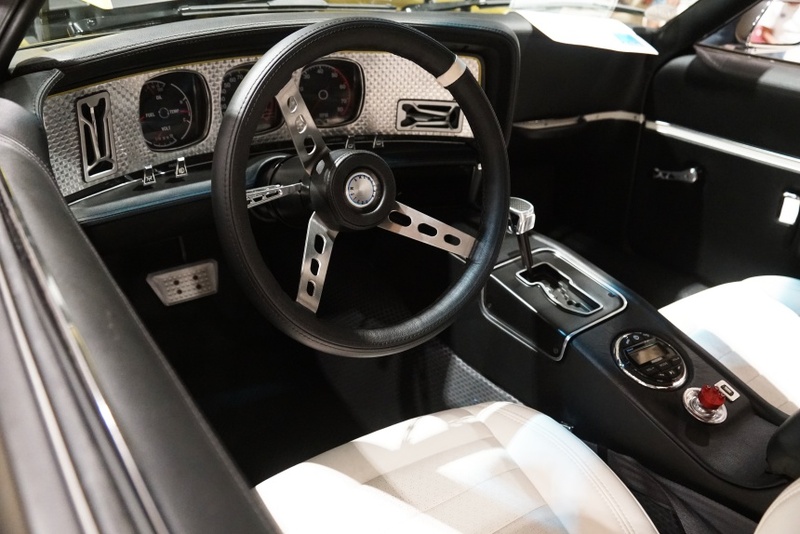 Another car making waves in 2018 is the brand new 3rd generation Ford GT. 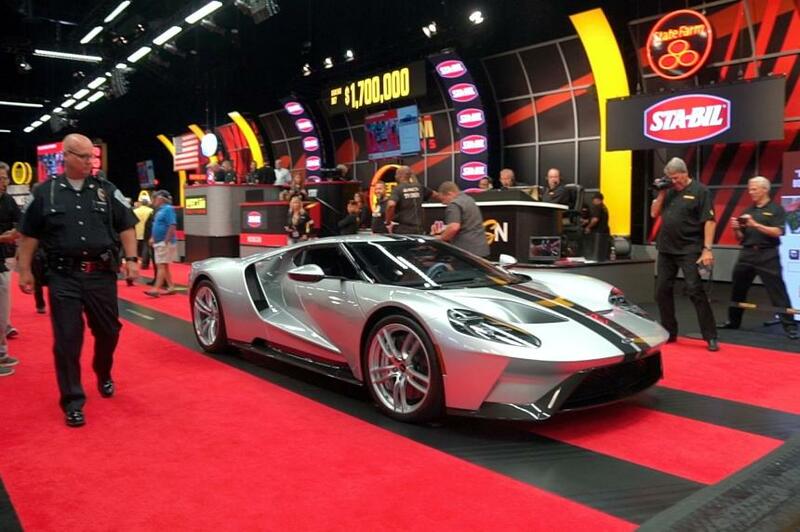 This limited production supercar has a base price of $450,000, but you must be an approved purchaser by Ford. 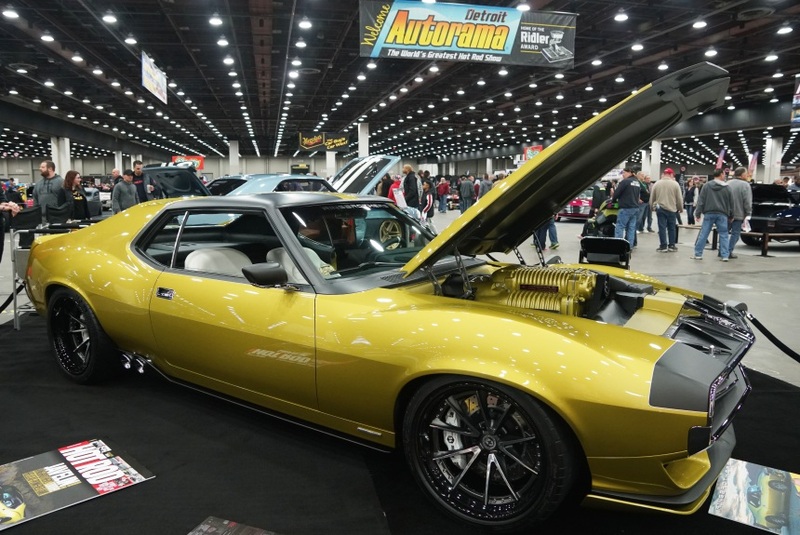 Part of the approval process is the buyer’s agreement not to resell the car. 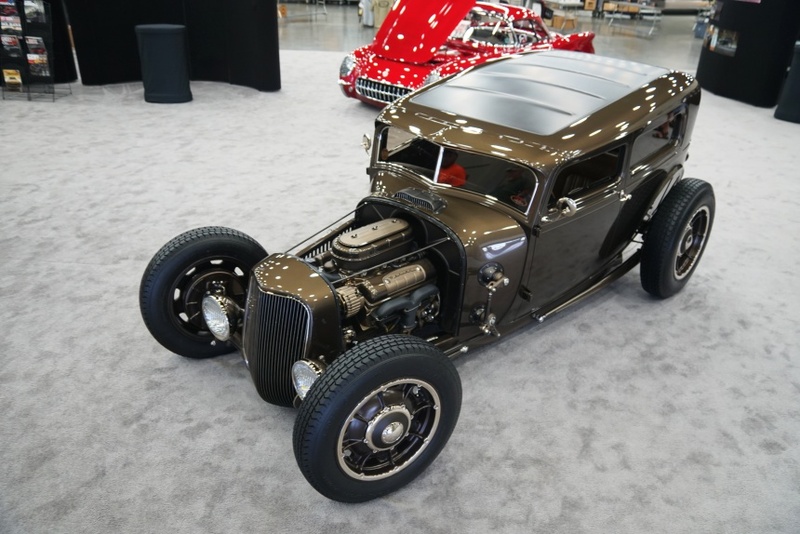 Somehow a couple of these cars still made their way to public auction and bidding wars ensued, with one selling for $1,815,000. 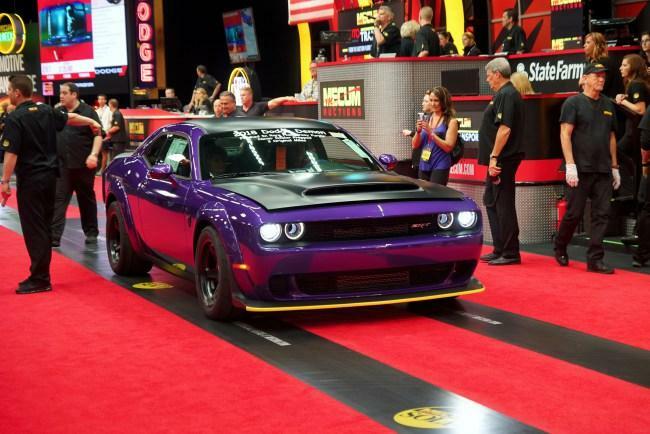 Also in the news, the release of the insane 850 HP Dodge Demon. 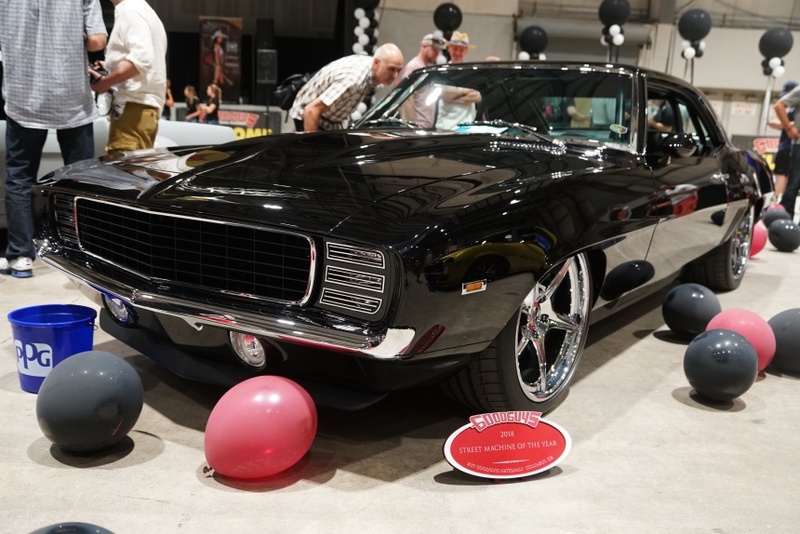 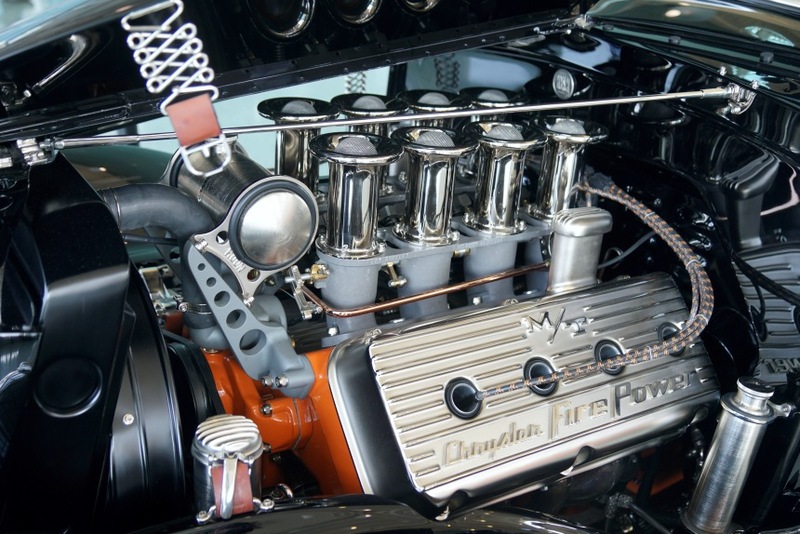 This factory muscle car on steroids is slated for only one year of production and therefore became a hot item on the auction circuit, selling in some cases $60,000 over its base price, proving again that it is all about supply and demand. 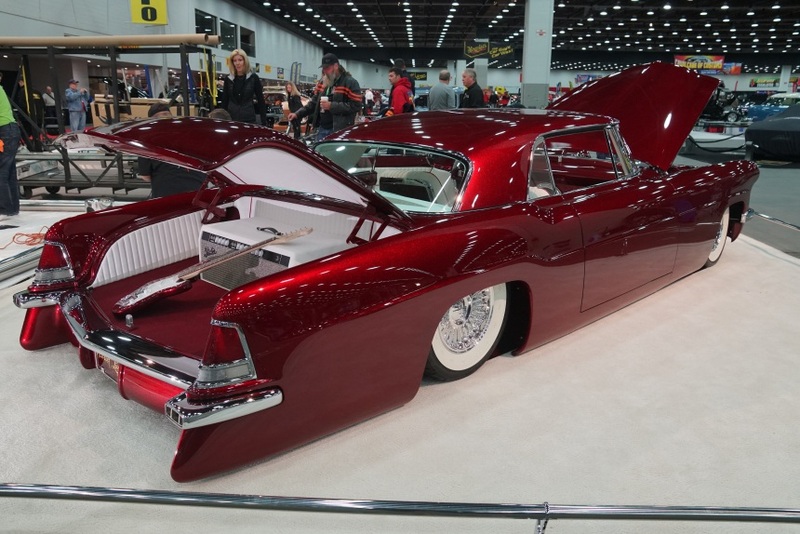 In 2018, a new crop of ultimate high-end builds hit the show circuit winning awards and wowing crowds. 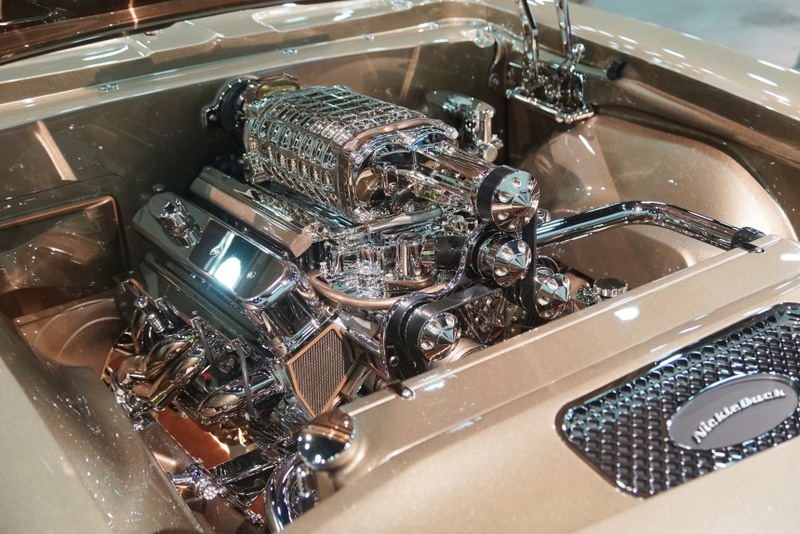 For these one-of-kind creations, cost is not a limiting factor and neither is the imagination of the builders. 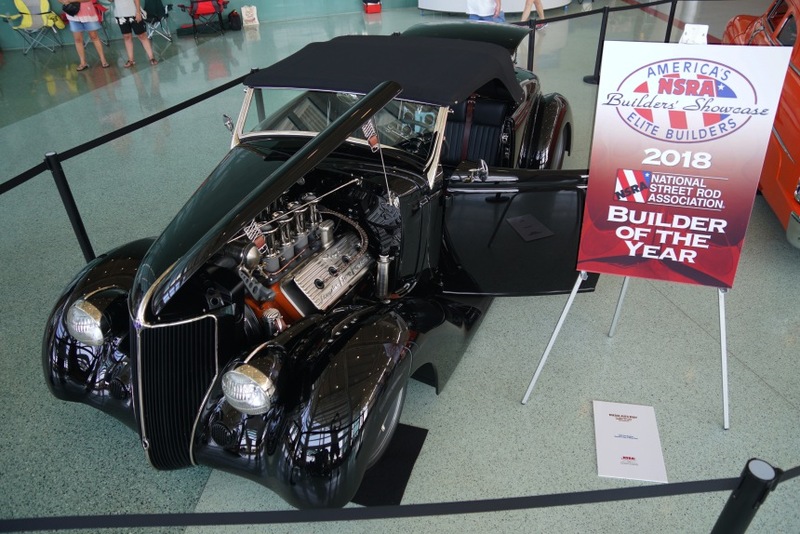 Here are our picks for the top eight classic builds for the year. 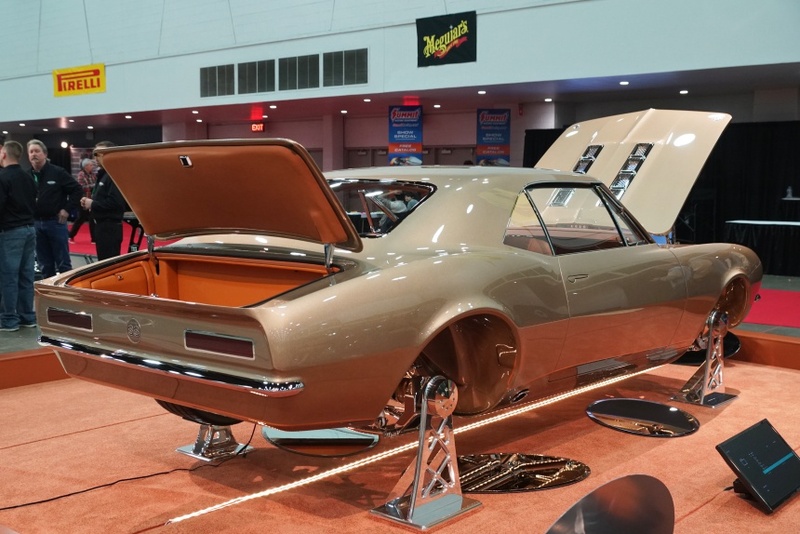 This first year Camaro can best be described as automotive jewelry. 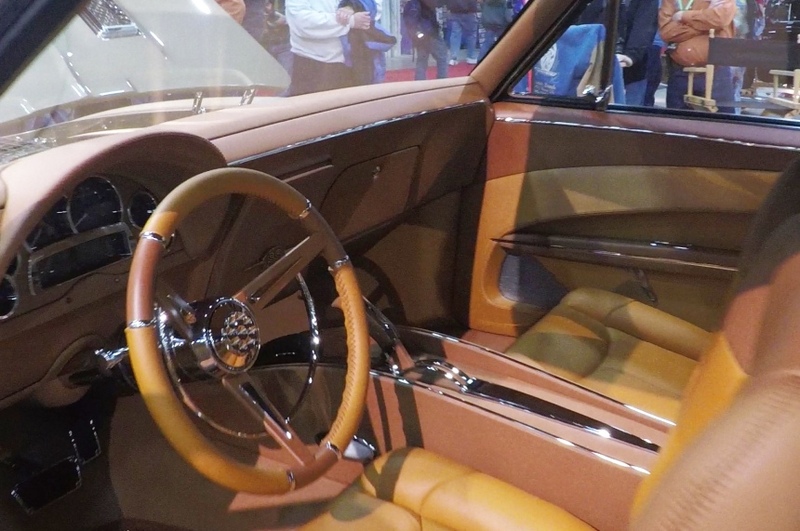 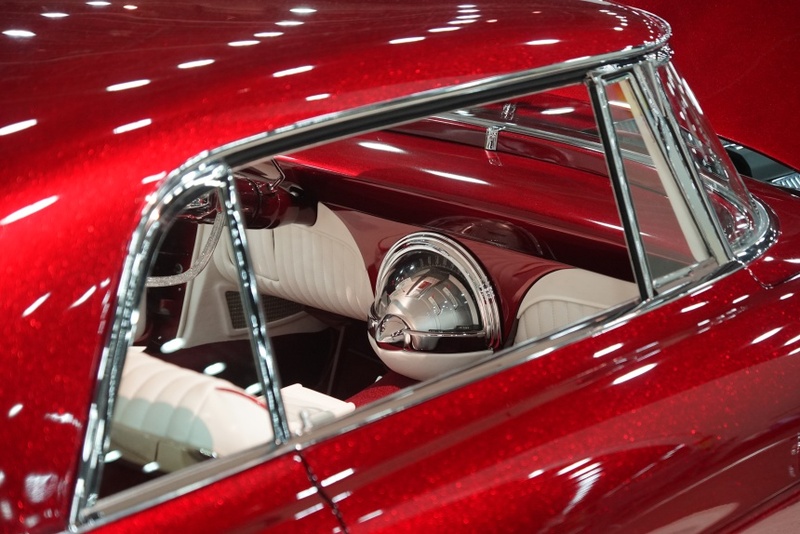 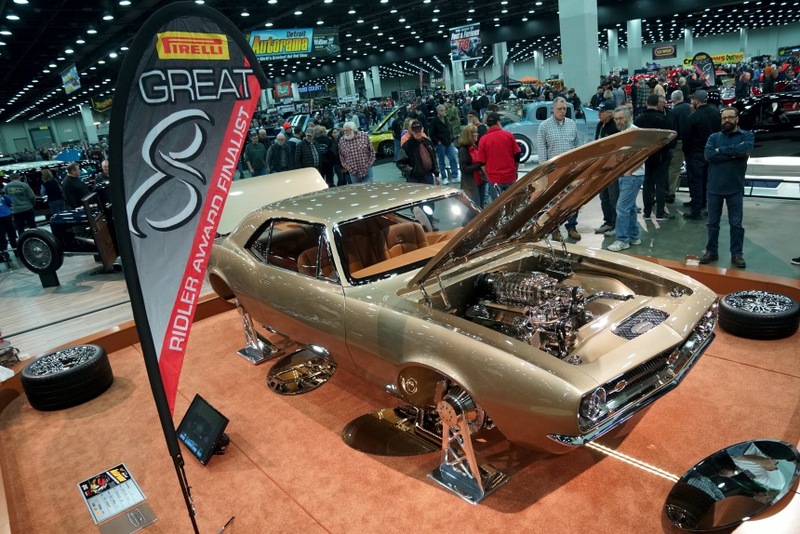 Under the lights at this year’s Detroit Autorama, it’s gold paint and chrome glittered like precious stones. 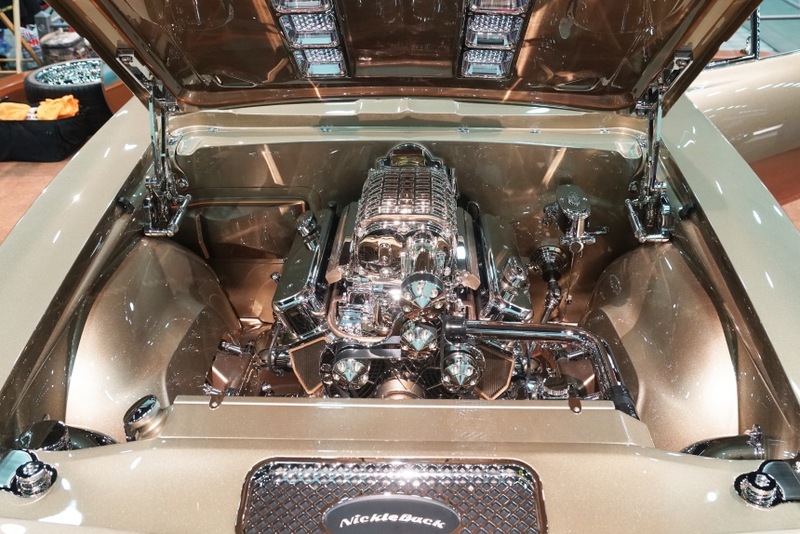 And topping it all off was the spectacular bling under the hood where untold hours and dollars were spent creating one of the most outstanding engine bay displays ever. 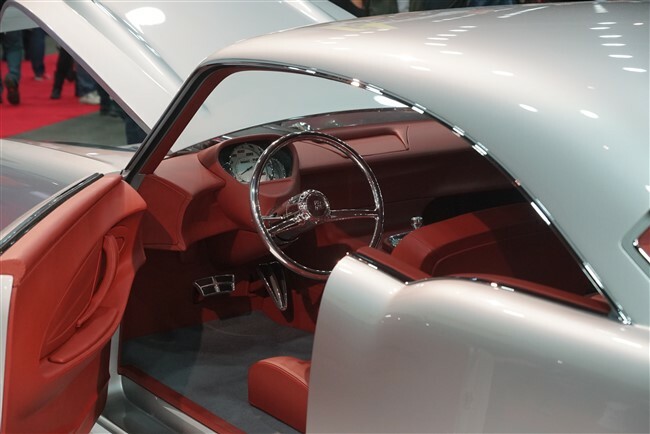 This is auto eye-candy at its best. 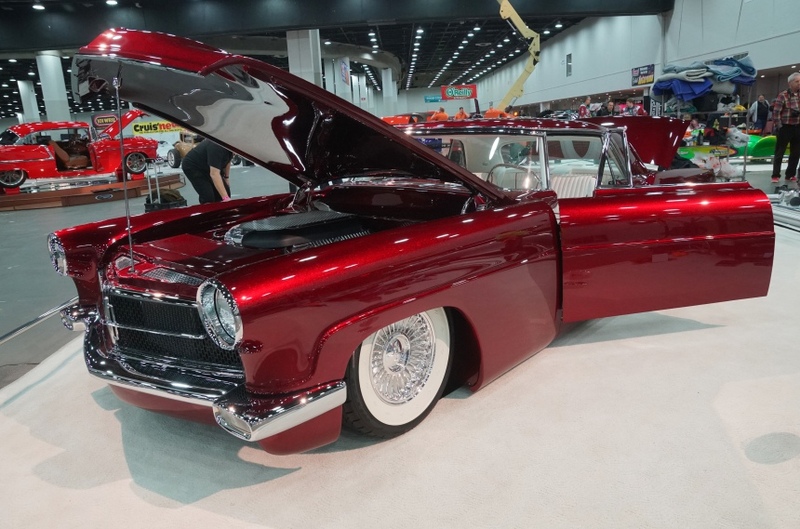 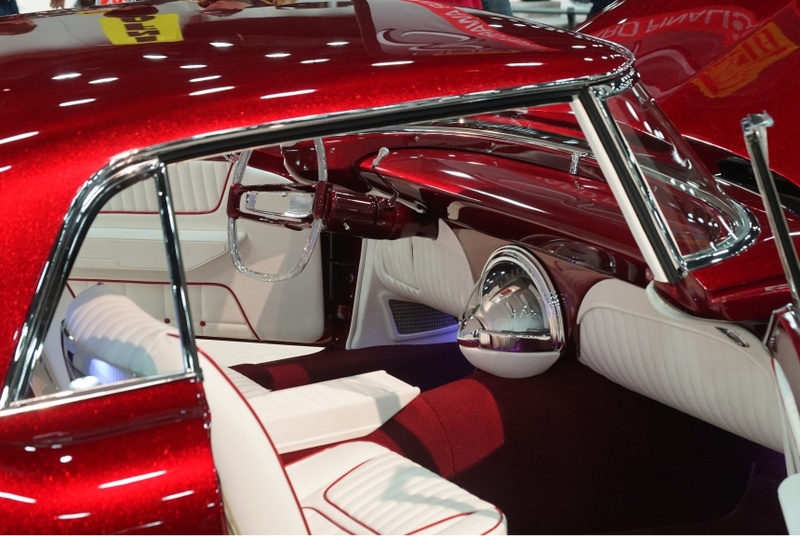 Appropriately named the “Scarlet Lady,” it is hard not to stare at this ruby-colored Continental with its original trendsetting body style, which has been further enhanced by a ‘60s Rock & Roll custom look. 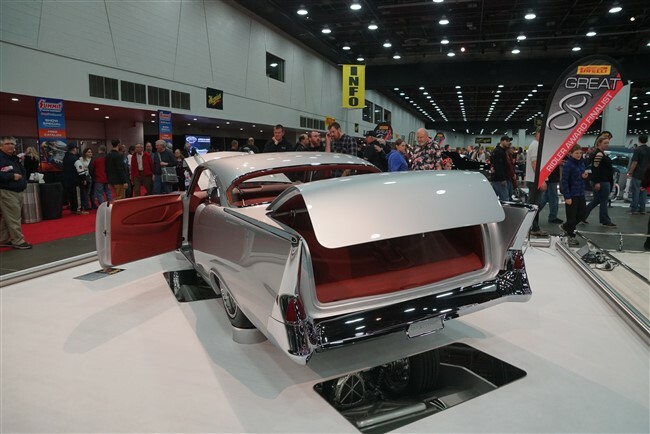 It even has a color matching Fender guitar and a vintage Fender amp in the trunk. 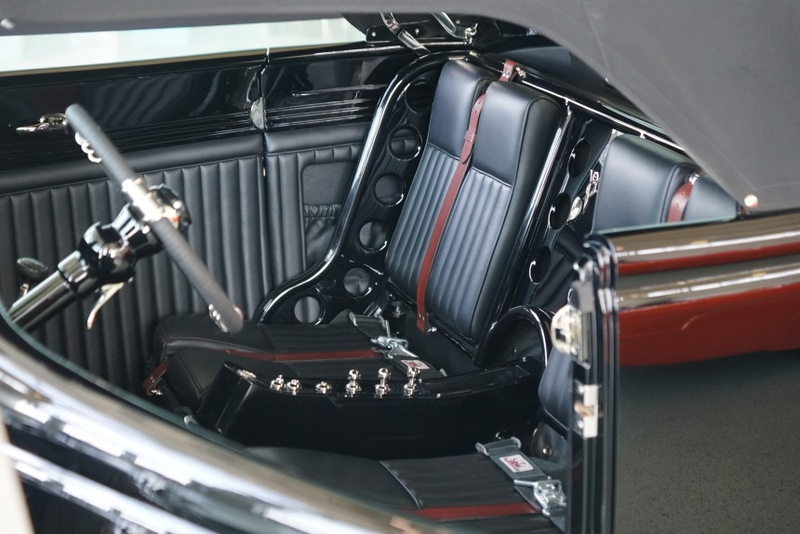 Inside is “old school” tuck & roll seats with red piping and a custom dash sporting a Chrysler “letter car” gauge pod. 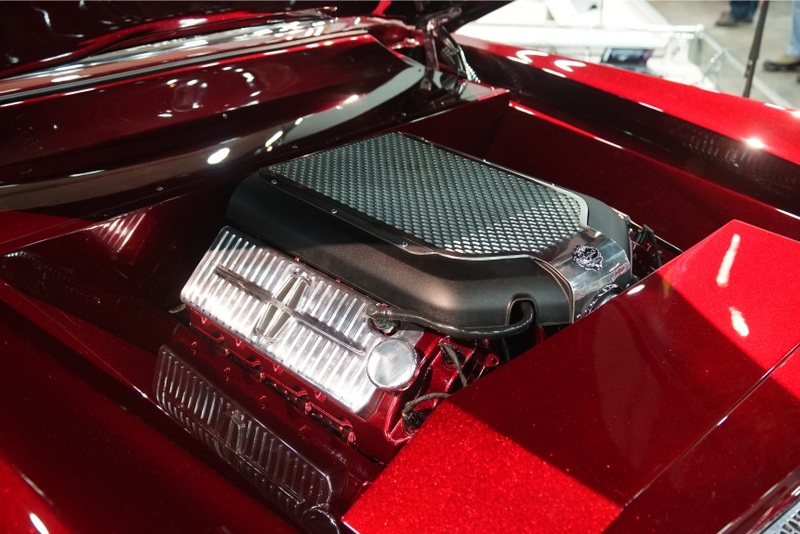 The engine has been upgraded to a 5.0 Coyote with a custom cover displaying a Lincoln logo. 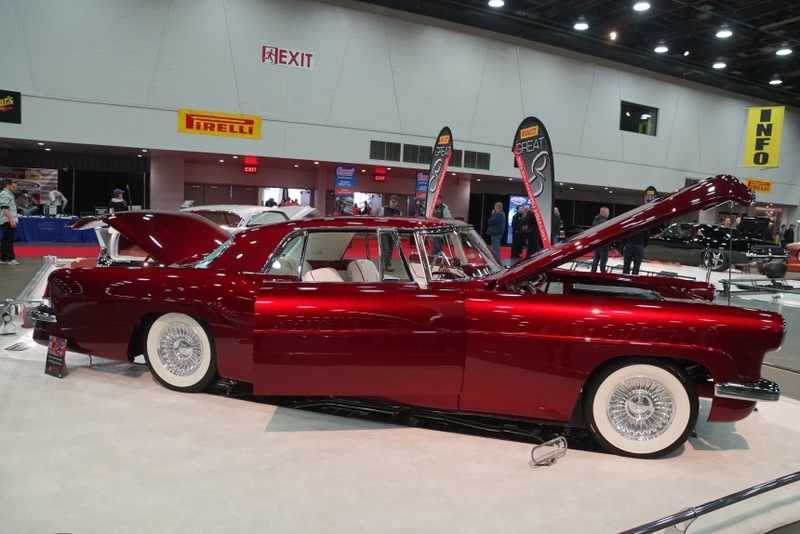 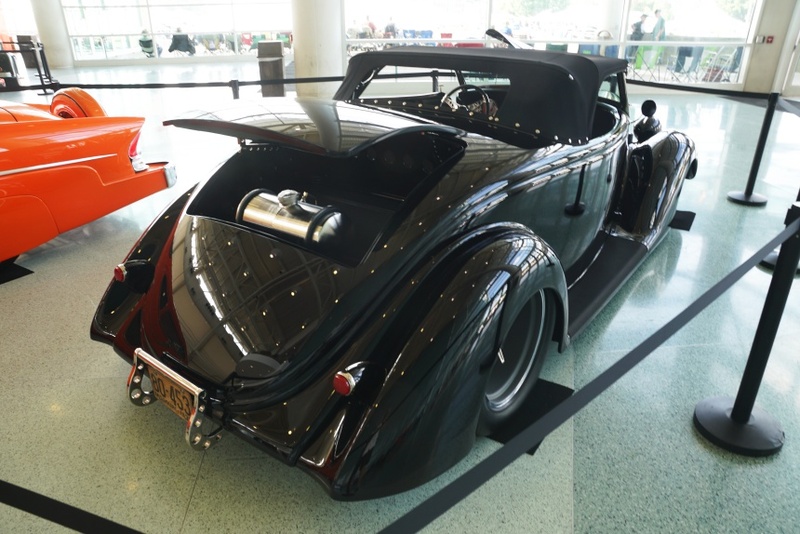 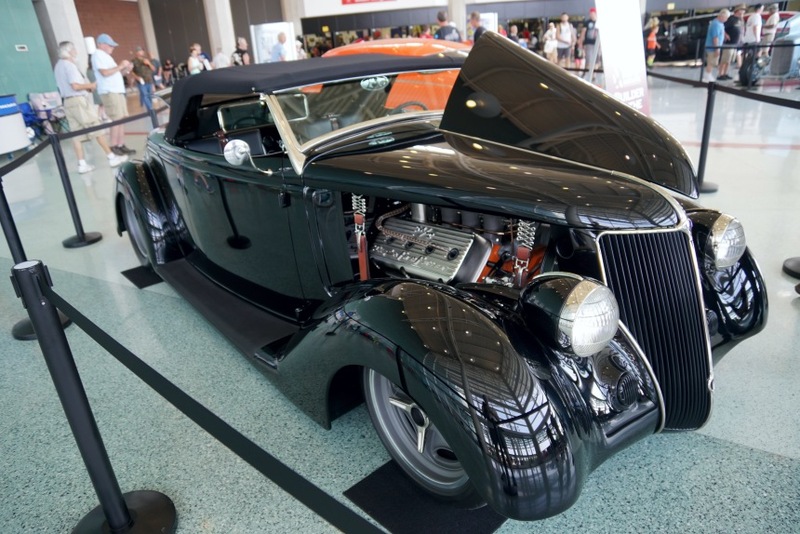 The builder, Chris Ryan, gives us the celebrity background on this Continental and his inspiration for creating this blast from the past in the interview above. 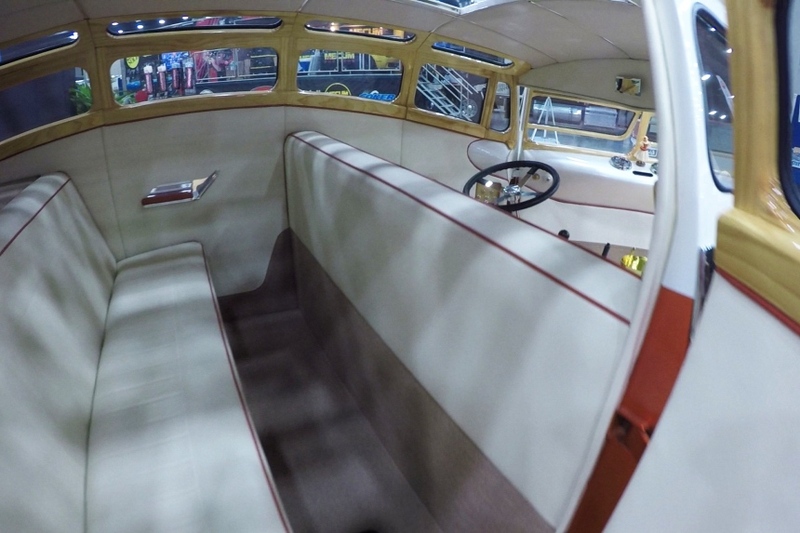 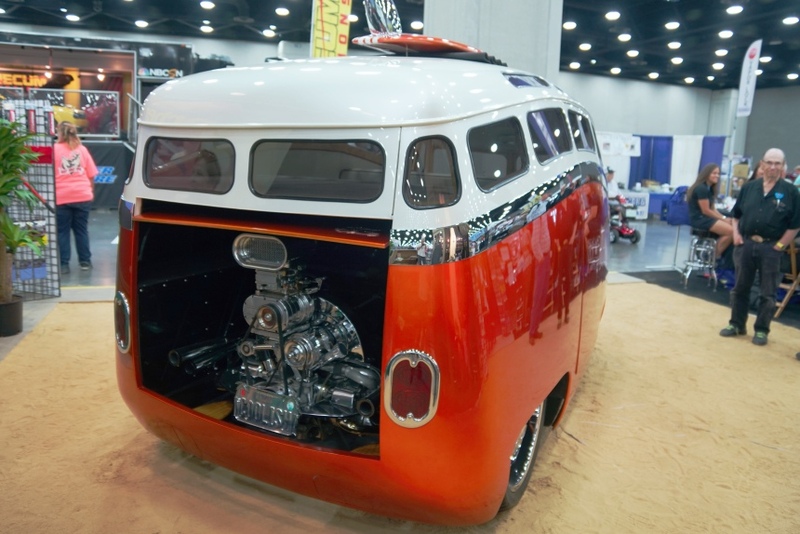 First, you should know that no VW buses were harmed in creating this amazing build. 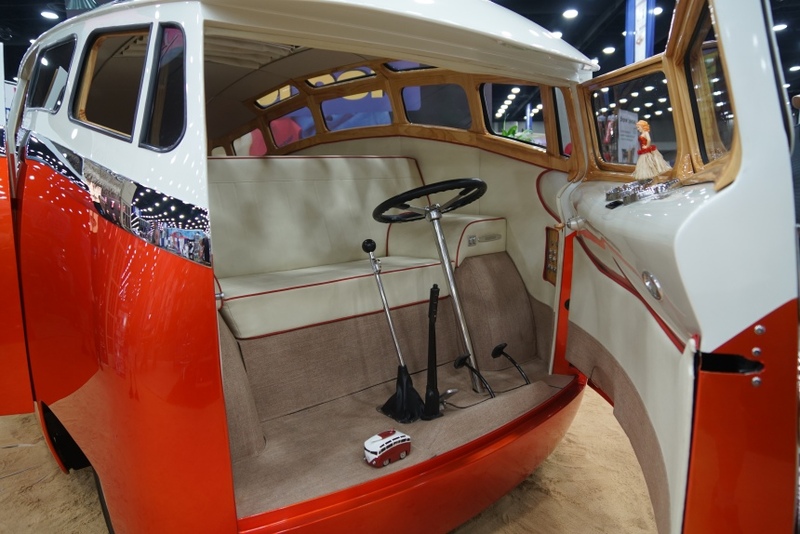 Although it resembles the iconic German people hauler, it was totally built from scratch from the creative mind of Ron Berry. 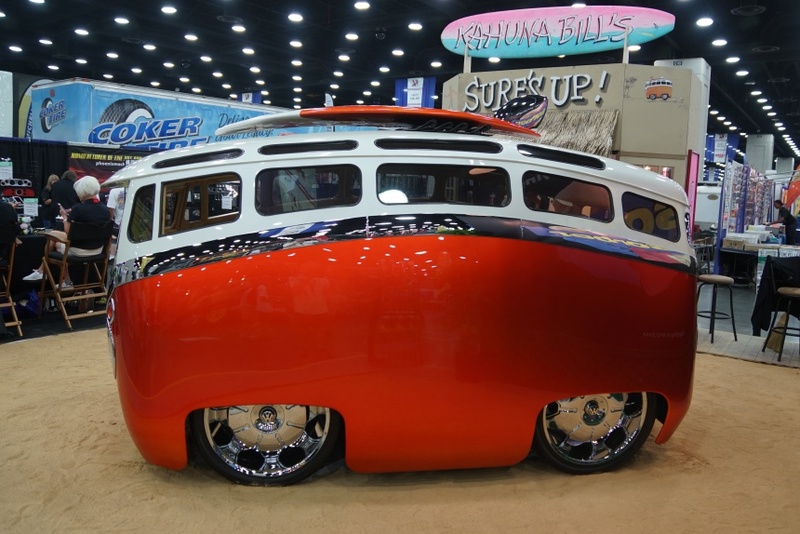 Its curved shape and oversized wheels are intended to give it that cartoon appearance, with the illusion it is not a real vehicle. 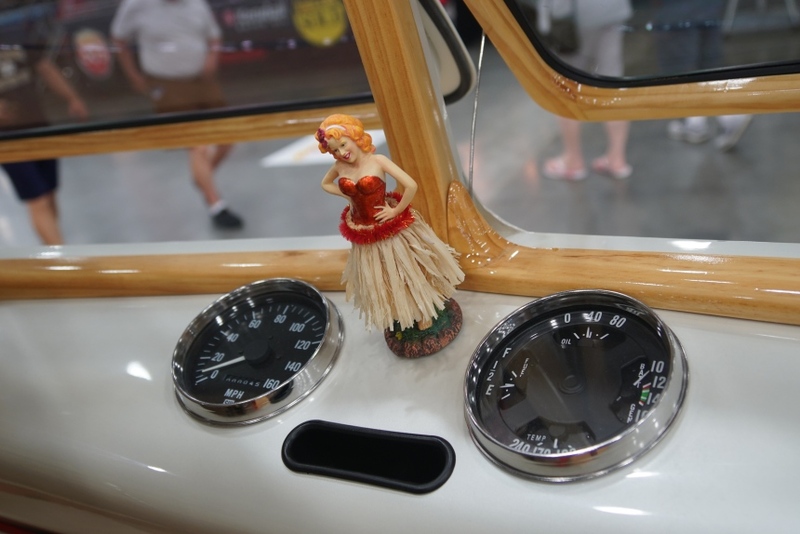 However, upon closer inspection, you’ll recognize how Ron’s attention to detail, his tasteful application of colors and materials, as well as the skilled craftsmanship resulted in a Kahuna custom build. 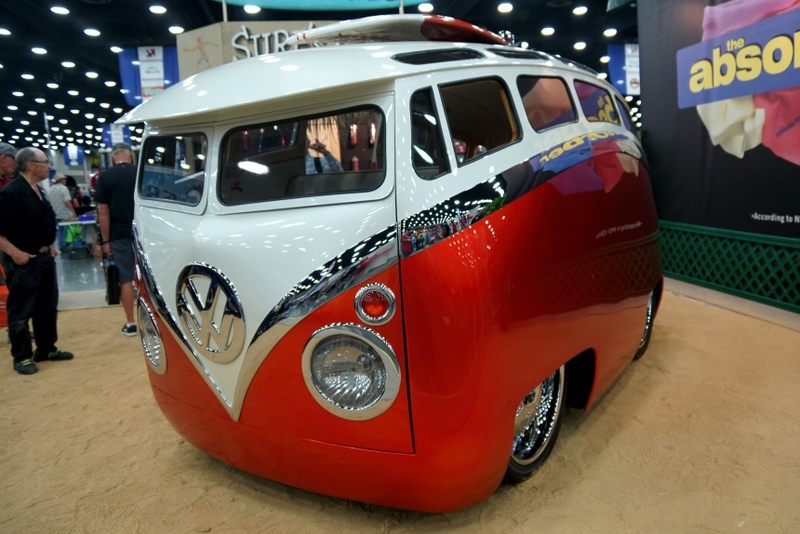 This bus is a real head turner and is the definition of “fun on 4 wheels.” Be sure to check out our interview with Ron as he describes (and demonstrates) all the special remote features he has incorporated into Surf Seeker. 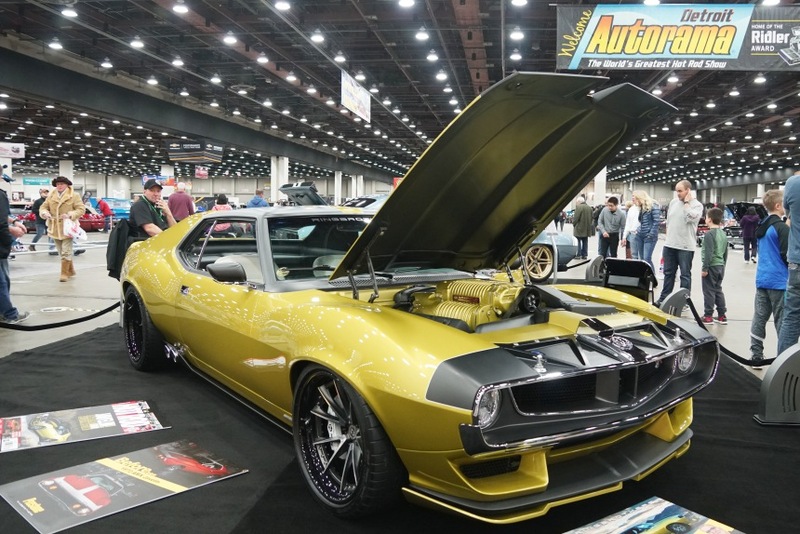 Who would ever want to make a last generation AMX Javelin into a show car? 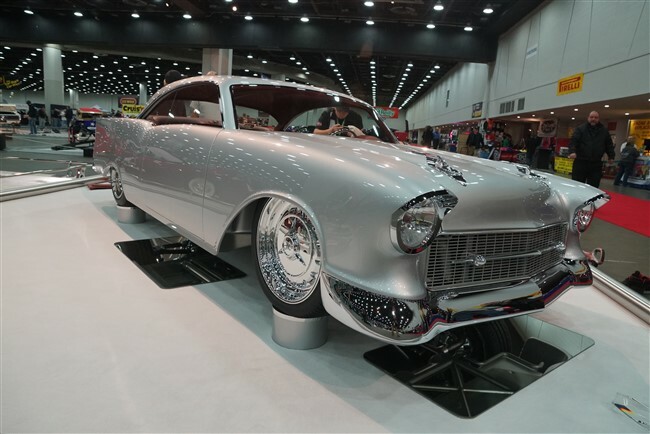 Well, the Ring Brother sold the idea to Prestone Company by turning the awkward-looking Javelin into a true fire breathing modern street machine. 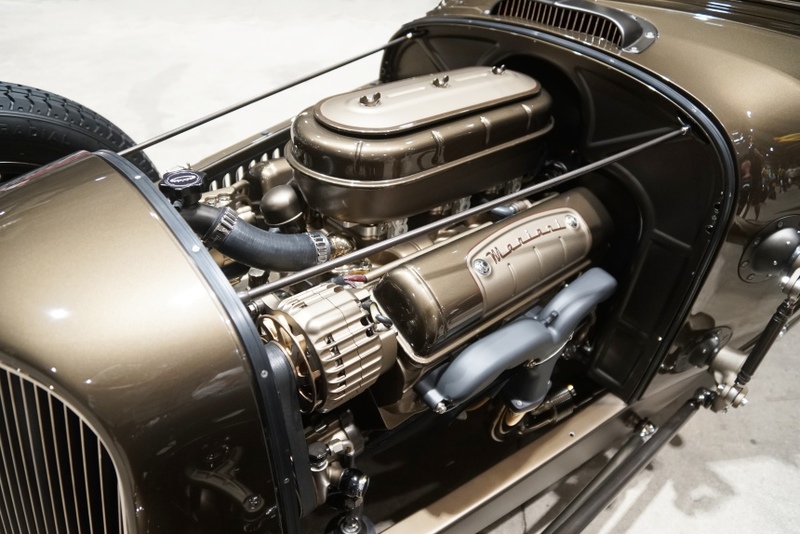 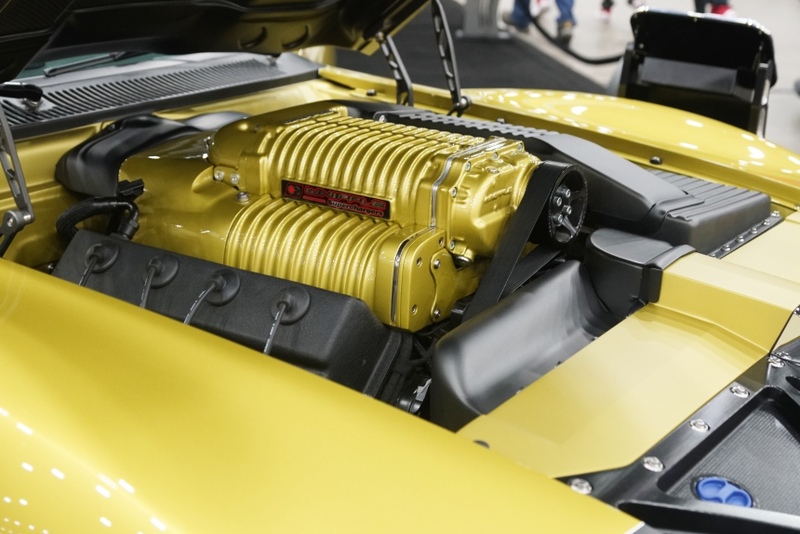 Along with body modifications to bulk up the outer appearance, they installed a Chrysler Hellcat engine, but they still weren’t satisfied with (just) 750 HP. 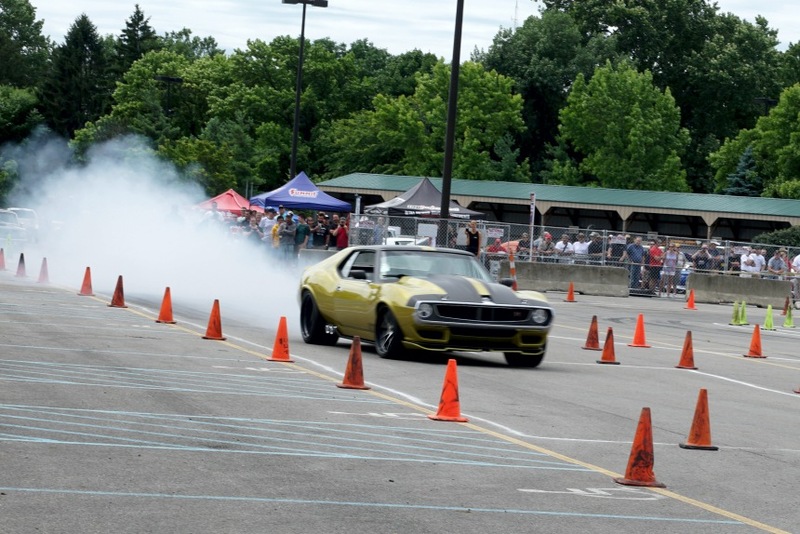 After some tuning and a new blower, the Hellcat was boosted to over 1000 HP for some serious fun. 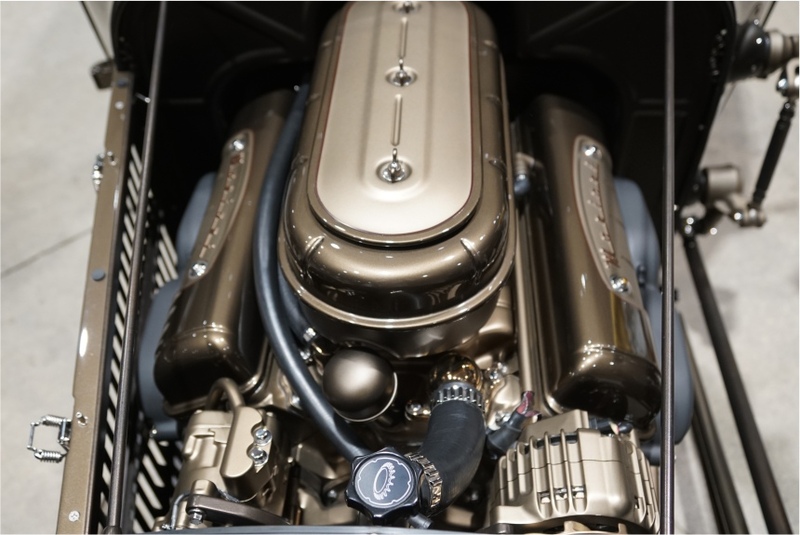 Adding to its uniqueness, the car was painted a distinctive shade of gold to resemble Prestone’s coolant color. 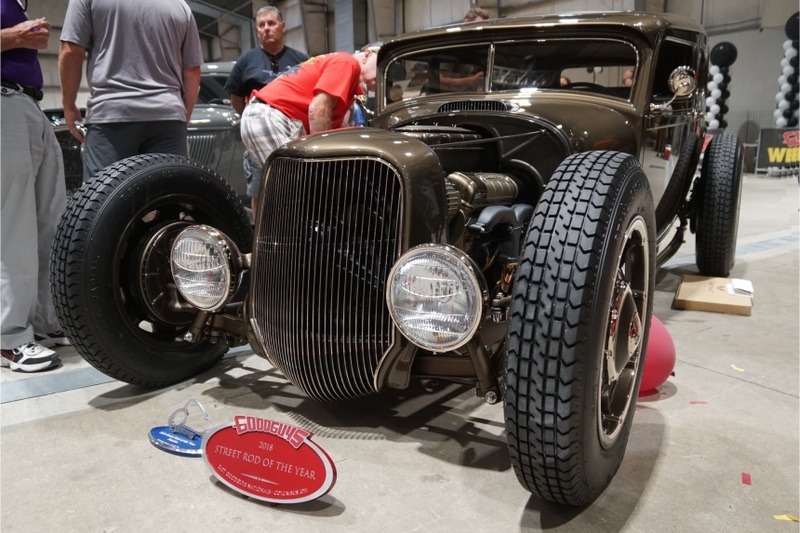 Defiant became quite a celebrity at many of the classic car shows during the year, and has been featured in several internet burnout videos. 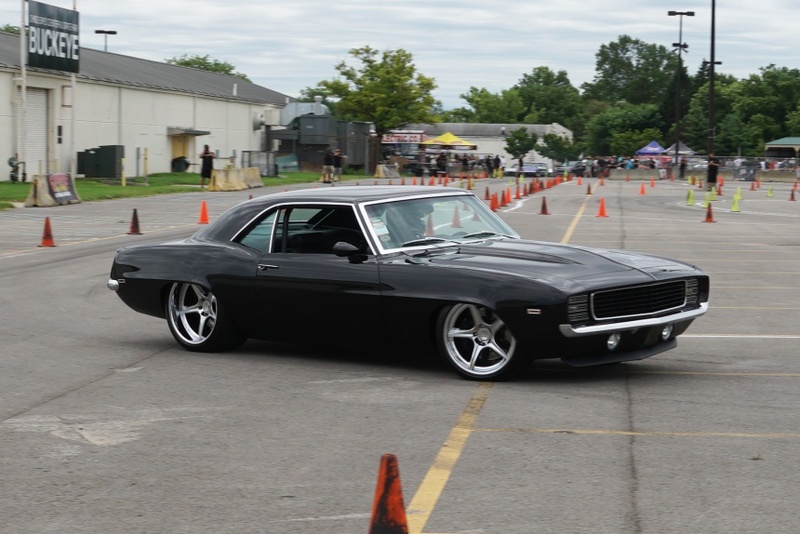 We were lucky enough to watch Defiant attacking the autocross course at the 2018 Goodguys PPG Nationals. 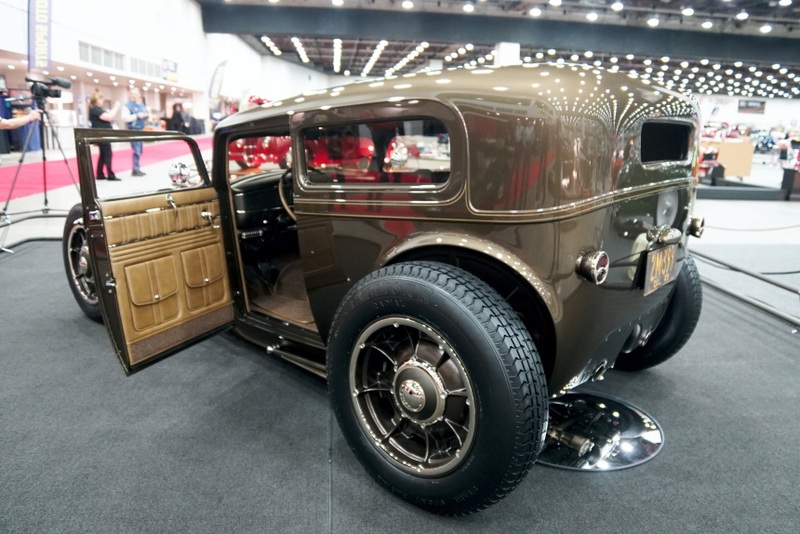 Didn’t see a vehicle on our ‘Top Classic Build in 2018’ list that you feel should be? 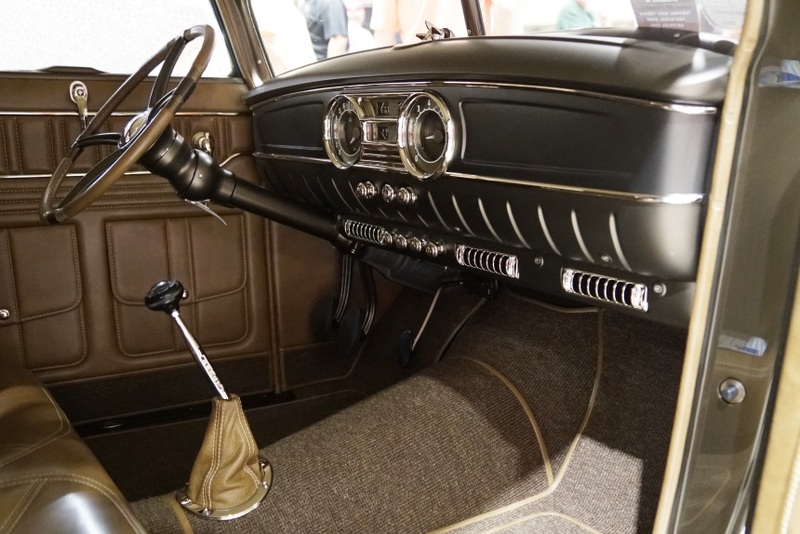 Give us a shout, we would like to hear from you.